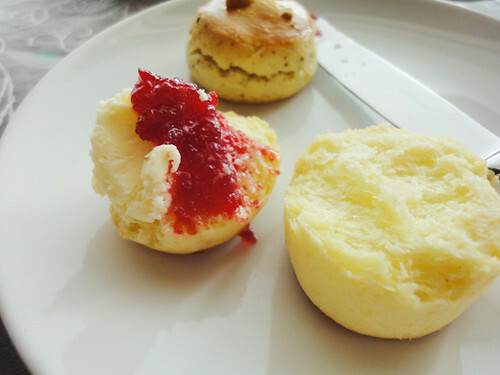 the 2 small hot scones were come with clotted cream and jams. 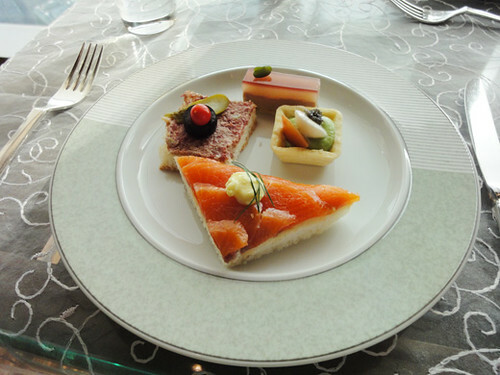 However, we were able to have the various teas that the Mandarin Oriental had chosen as much as we liked. 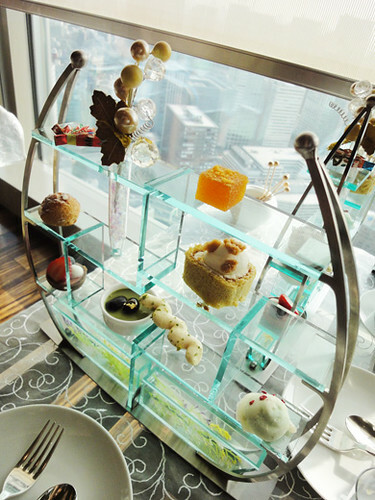 They had the Mandarin Oriental Tokyo Selection teas, the flavored teas, the Royal Milk teas, the Lounge Selection tea of the week, the Traditional teas, the Herb Blend teas and the coffees on the menu. 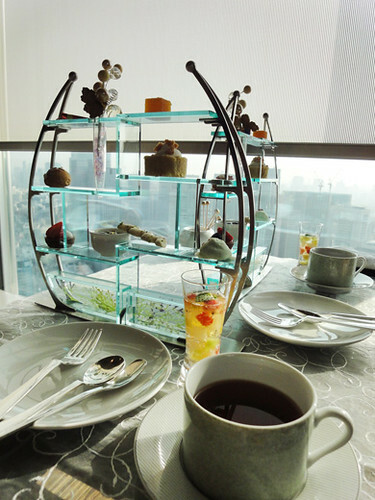 The teas were carefully made, and the fragrant teas made us very good mood. ornament shelf for Chinese tea cups. It was very fun to look at them, also the tastes were great.